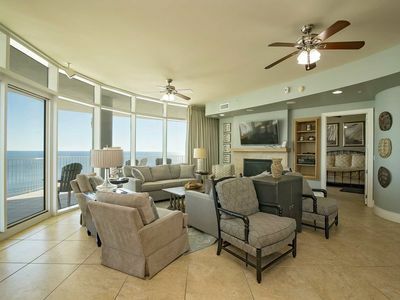 Situated on the eleventh floor of Caribe tower D, this remarkable gulf and bayside condo is the pinnacle of luxury. 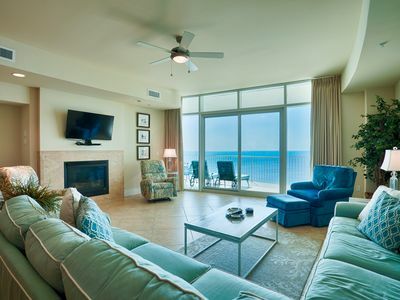 The spacious master bedroom features a King-sized bed and twin sofa-sleeper with floor-to-ceiling glass doors that open onto a scenic balcony overlooking the Gulf of Mexico and Ono Island, where you can take in the gentle sea breeze while reclining on the comfortable patio furniture. 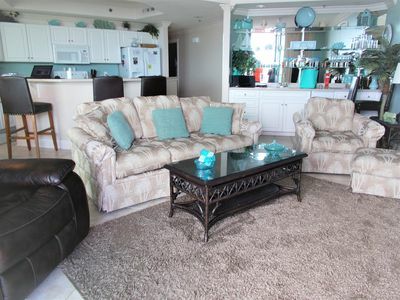 The spa-style master bath boasts a soothing jetted Jacuzzi, walk-in shower, large mirror, and double sink. 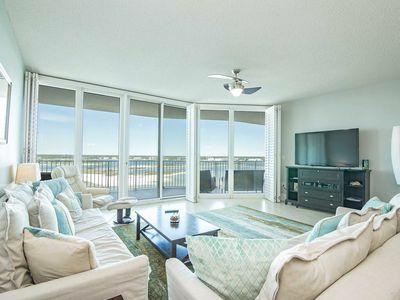 Spend quality time with your loved ones in the modern living room featuring a comfy seating area, stunning décor, bright floor-to-ceiling windows, a stylish wet bar, Queen-sized Sofa Sleeper and Twin-sized sofa sleeper, and a 50” TV. 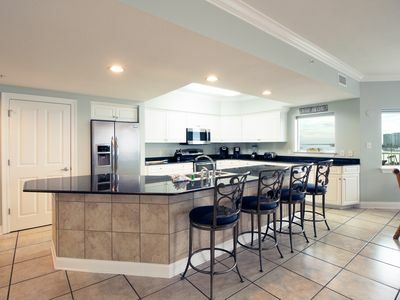 The sleek kitchen is equipped with stainless steel KitchenAid appliances, including an electric wall oven with built-in a microwave and sizeable refrigerator. 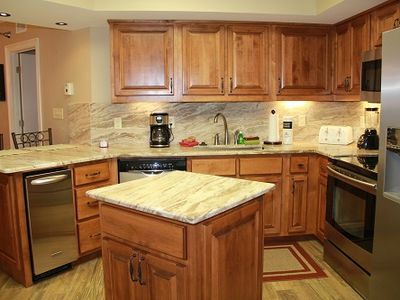 Start your morning with the high-quality coffee maker, end the night with some mixed drinks with the blender. 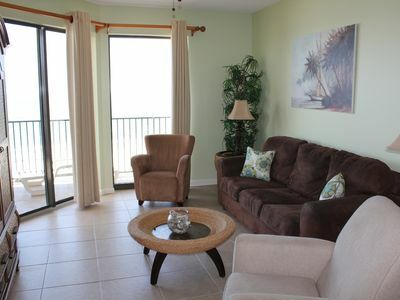 The separated guest bedroom showcases a restful Queen Bed, a TV and private bathroom. 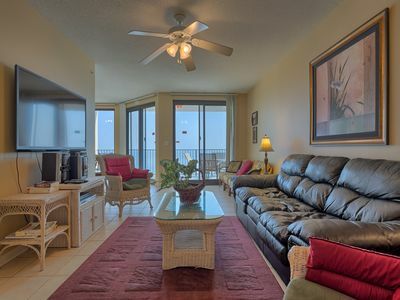 Staying in this lavish condo includes access to all Caribe Amenities and comes with a complimentary boat slip. 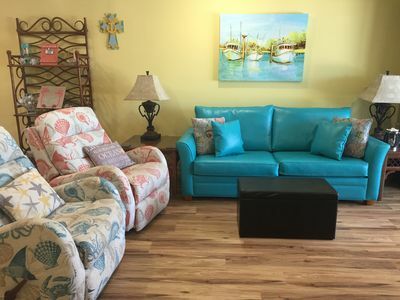 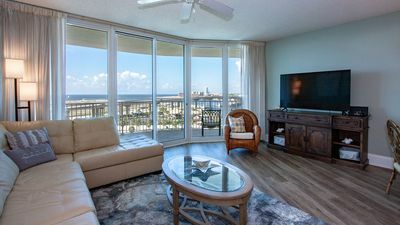 Great Orange Beach Condo! 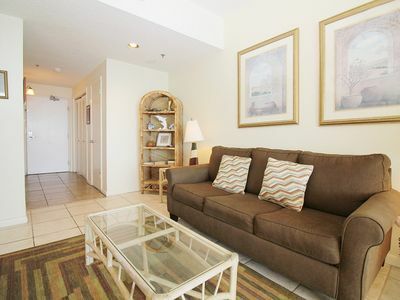 Convenient Area!! 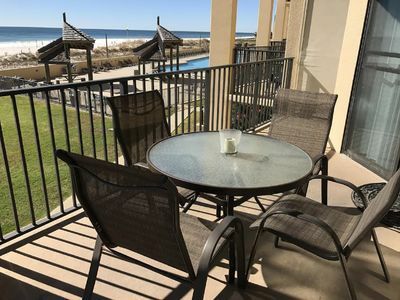 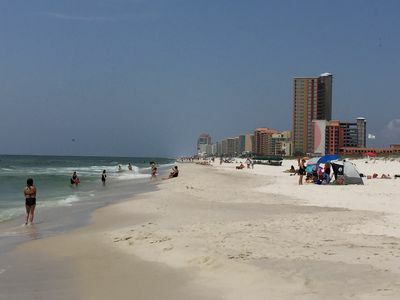 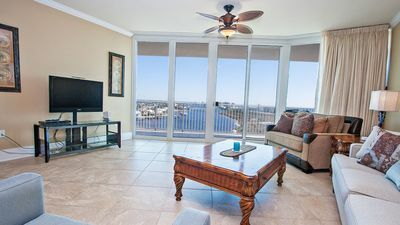 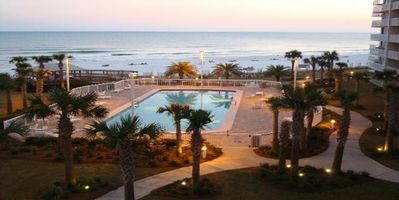 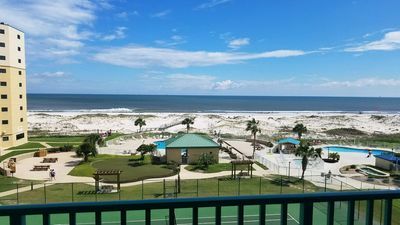 Top-Floor Orange Beach Condo - Across from Beach! 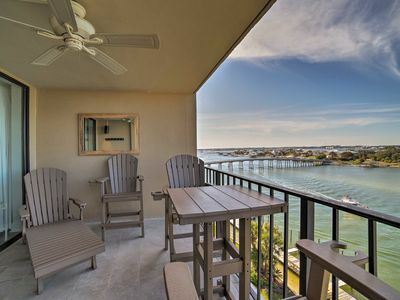 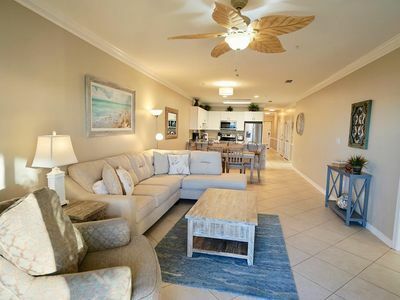 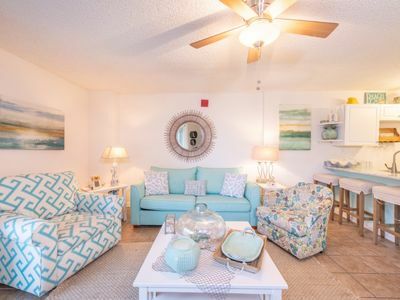 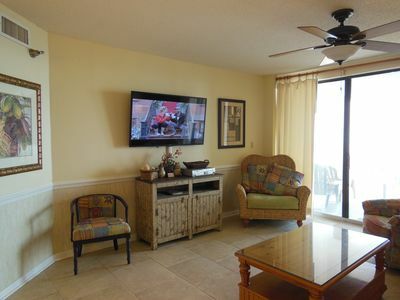 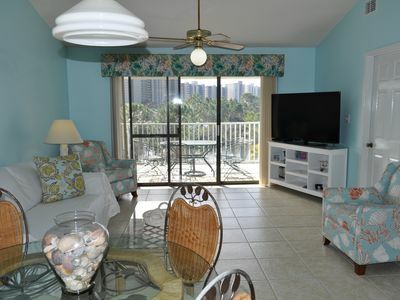 DIRECT GULF FRONT UNIT, LUXURIOUS INTERIOR, CLOSE TO THE FLORA-BAMA!